I can't not. I have to. The day after the rabbit PowerPoint, we got a kitten PowerPoint. Here it is. Yes, they teach PowerPoint in school. Fifth grade, people, this is fifth grade. And, really? 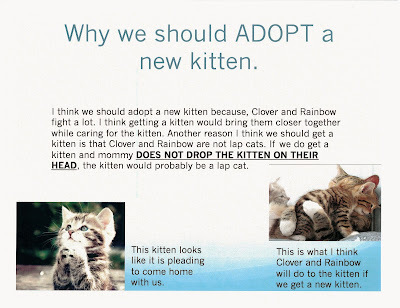 I never dropped a kitten on its head. 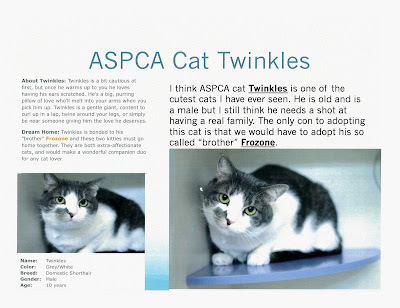 When we were interviewing our current cats, at the local SPCA almost three years ago, one of them scrambled onto my shoulder and did a swan dive onto the floor. Maybe I should just buy another plastic horse and hope for the best. In our area, they just shut down a farm so there are 1,800 hens in need of a home. 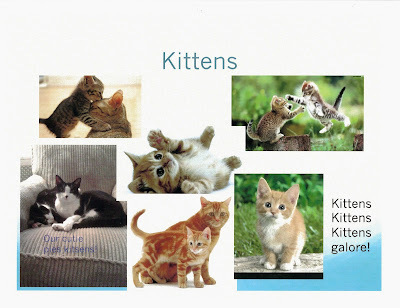 Howzabout a hens PPT? RuthWells is wise. You are indeed toast. 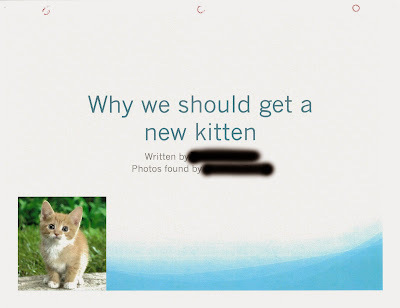 That is a very persuasive presentation. Love. 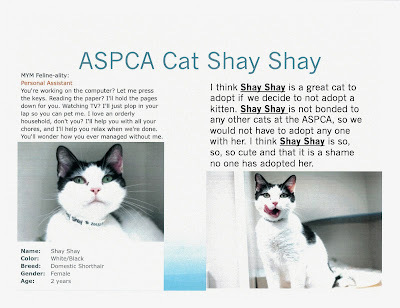 Also, I've also noticed Shay Shay on the ASPCA site. I think she's wearing makeup. This makes me want to adopt a kitten and also your daughter. I give her extra points for calling shenanigans on the "so called 'brother' Frozone." 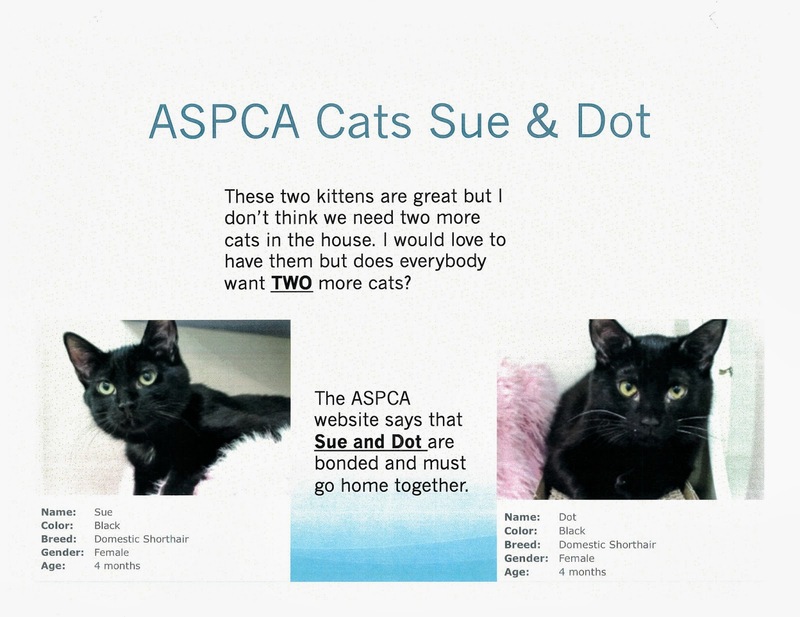 What this PP teaches me is that you would clearly never adopt TWO cats who are already going to have trouble being adopted because they are BONDED. Yeesh. 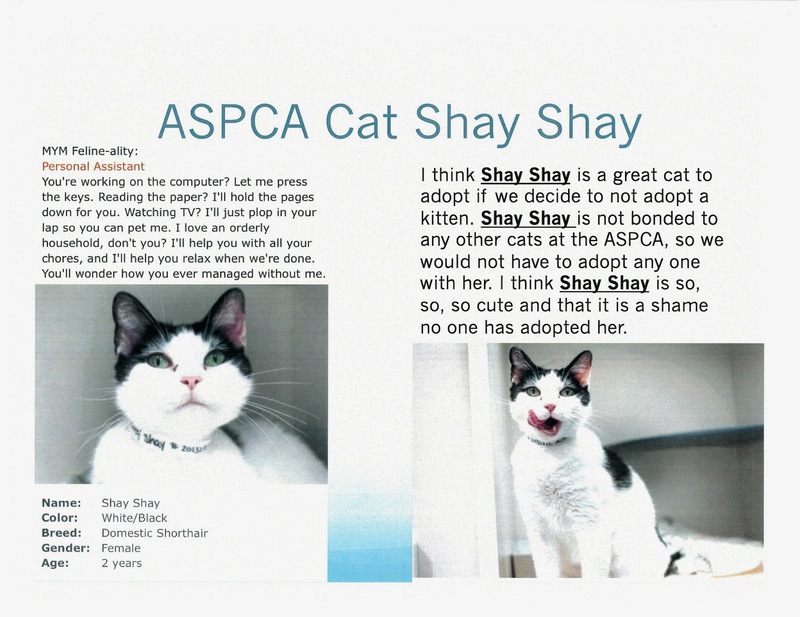 What a monster.